Dubai, UAE, June 26, 2018: The Board of Directors of the Central Bank of the UAE held its 5th meeting for 2018 at 10:00am on Sunday, 24th June 2018, at the Central Bank Head Office – Abu Dhabi, under the chairmanship of H.E. Khalifa Mohammed Al Kindi, Chairman of the Board. The meeting was attended by H.E. Khalid Juma Al Majid, Deputy Chairman, H.E. Mubarak Rashed Al Mansoori, the Governor, and Board members; Their Excellencies Younis Haji Al Khoori, Khalid Mohammed Salem Balama, Khalid Ahmad Al Tayer, Hamad Mubarak Buamim, as well as by Their Excellencies Mohamad Ali Bin Zayed Al Falasi, Deputy Governor, Saif Hadef Al Shamsi, Assistant Governor and a group of senior Central Bank staff. The Board reviewed a presentation regarding CBUAE Governance (Committees’ Terms of Reference & Secretariats, Delegation of Authority Matrix for Business Units) and took appropriate decisions. The Board reviewed and approved a report regarding the controls for Al Etihad Credit Bureau, and instructed to take the necessary action. 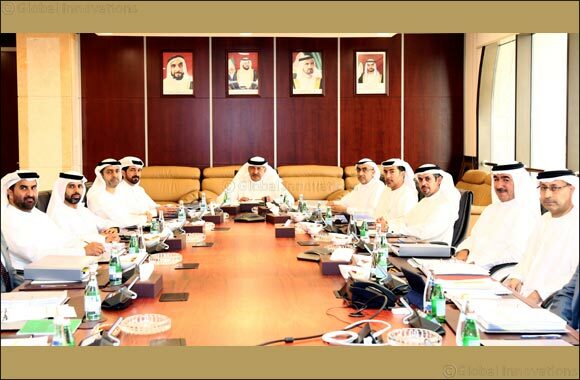 The Board also reviewed applications submitted by banks & other financial institutions operating in the UAE. The Board approved the applications that fulfilled the conditions as per the applicable law and / or regulations for each individual activity. The Board also reviewed a report regarding the CBUAE Whistleblowing Policy, which was developed in accordance with best practice and in line with the objectives set by the Cabinet concerning the adoption of best international practices in Federal Entities Governance in the UAE. The Board also discussed a report regarding the General Framework of Risk Management Policy, anti-corruption and Conflict of Interest Policy and instructed to take the necessary actions relating to the report.